What you went through here, Pat, sounds to me a little like an exorcism. You didn’t notice a priest in the vicinity, did you? I wish someone would have aborted Dunkle when he was a fertilized one cell. That would have been a nice abortion. Hi Pat, sorry for you and your son going thru this stomach pain/flu. I got to say that i had to laugh about how many times you wrote the word ABORTION. WOW 16 times and not counting the derivatives of the word. I was told the same thing, if you have a blog you got to mention the MAIN word that denominates the blog as many times as possible. I hope both of you are feeling better! About the dog, come on, does anybody of your family has that kind of support when you go to the bathroom to pee from your behind like your dog? So even though was stinking, the poor dog was there just waiting to be pet and didn’t even cared about the smell. Dogs really are our best friends. She just sat there through everything. As you said, smell and all! Maybe some of the pro-lifers sent you a poisoned food to keep you away from writing about ABORTION! Yes they do practice abortion in dogs as well. Well, there’s more than life to ABORTION. There are people like JOHN DUNKLE, who are activists for a stirring cause. JOHN DUNKLE weighs in on the very important issue of abortion, and people listen to what JOHN DUNKLE has to say. I find his comments very apropos, and quite often I find that something JOHN DUNKLE says has a solid connection to aborticentrism. JOHN DUNKLE is probably right when he claims to be one of the longest-serving veterans of the movement, and when you consider not only when JOHN DUNKLE started agitating outside clinics, you certainly have to grant JOHN DUNKLE credit for his dedication! JOHN DUNKLE has mentioned that he is a father of five, but I don’t know how well JOHN DUNKLE took it when I mentioned I was a recovering Catholic, because one of the sons of JOHN DUNKLE is a Jesuit priest (a member of the order which lost five to the neo-contra-supported and Reagan-funded right-wing terrorists in El Salvador). JOHN DUNKLE is quite firm in his convictions, which at times makes it hard to either reason with him or keep my temper, but that is not the fault of JOHN DUNKLE. JOHN DUNKLE has been quite faithful in weighing in at this blog, and JOHN DUNKLE has taken a lot of heat at times. JOHN DUNKLE keeps soldiering along, though, letting the harpies’ criticism roll off the back of JOHN DUNKLE like water off a duck. “Duck” is not a word I would associate with JOHN DUNKLE. There! Now I’m going to check Google and see if he’s a made man…. Charles, this is good, very good. I didn’t know you had it in you! Anything to help you in your quest in this life to prove you are worthy of transcending Death, John. Wow! It works! And– he’s a SURGEON, too!! Tell me I am gullible, that lunatic could not be a surgeon! Oh yes I am, Amy, I slice into people like you and Charles, find the kookie kanser, and remove it. Haven’t found yours yet though. John I hope that you describing yourself as a surgeon is a figurative description and that it is not a literal description….how would you have time to be a reliable surgeon and protest at the homes of decent people….I am sure you meant it in the context of iritating people and perhaps finding their achilles …..didn’t you? If John is/was a surgeon, then I’m LeBron James. dear above two brother,i think the mrkaet will still move up and down in short time, especilly the US mrkaet,,i wont try to catch the BOTTOM of the 945, but i really try to catch when the fundamental CHANGE for it,i still didnt find the CATALYST for it..one suggestion..dont buy just because it CHEAP..buy it becasue it got a good FUTURE..argee? ?thanks for share. Lorraine, I don’t know if they’re decent people or not. All I know is they mortally attack, for a substantial sum, innocent, helpless people. I think those who refuse to help the latter are the truly indecent. What about the pharmacist that gets the Birth Control Pill or Morning after Pill and gived them to people? Should they be sliced too John? I don’t mean slice in the literal sense, Amy. Think I’m a hero or something? But those “pharmicists” do something worse that the “surgeons” who slice us up. So you want to slice them? You support the murder of doctors, of course you want to slice them. Or are you not agnostic to the way you support the execution of innocent people, and recruit others to do the same? You scare, intimidate, threaten- you have made a career of it! What a loser dunkle is. Works his whole life harming people and ends up wasting his life helping the pro choice become stronger than ever – what a laugh! Look at it this way, Billy: I got you to start talking and that can only help us pro-lifers! Lorraine, Dunkle’s level of discourse in this site indicates that he is not a professional. Contrast his style and substance with someone like Nathan Abrahamson, and you can see immediately the difference in education level. He also lacks the self-restraint one normally develops in responding to criticism, a habit that is a prerequisite for success in a highly technical professional field, and one that is strengthened as a result of that education. If you find yourself under his knife, it won’t be in an operating room. He is scaring me, saying that he would slice people! Since you support the murder of Doctors I guess that is in line with your belief system . . .
Amy, I don’t support the murder of doctors, I support the killing of those who have abandoned the medical profession to become killers. Course I don’t have guts to do it myself. Charles, what the heck are you talking about, as usual? Yes, I know, you have mentioned several times, doctors are only a subset of people that you encourage and recruit others to kill. To be a surgeon, you have to go through years and years of training and be open to taking in all sorts of knowledge. To be “pro-life” as the so-called “pro-life” movement defines it, you have to be against murder as they define it. In other words, not only is it easier to be a so-called “pro-lifer” than to be a surgeon, it is also easier to be a so-called “pro-lifer” than it is to learn how to change a diaper. And that’s only the tip of their iceberg…..
Yeah Amy, just Charles’s reiterated argument: prolifers are so bad that we can continue to torture to death a million and a half innocent young folks every year. But John, why instead doing those pickets or so you and your pro-life people don’t invest some effort in preventing teens to get pregnant? and PLEASE do not insult my intelligence saying that a contraceptive pill is also abortion related, because f there is no conception there is no FETUS or BABY or whatever you want to call it! We must all recognize that many form of birth control cause abortion. Read ten thousand peer reviewed articles. But who cares? It still is a women’s choice. IUDs were used for emergency contraception as were many of the very same hormones in the birth control pill, patch, suppository, implants etc. There are definitely break through ovulations, and some are fertilized. The problem is the Dunkles of the world, to their pathetic consistency of belief want to rid contraception also, so you can be a reproductive piece of property. 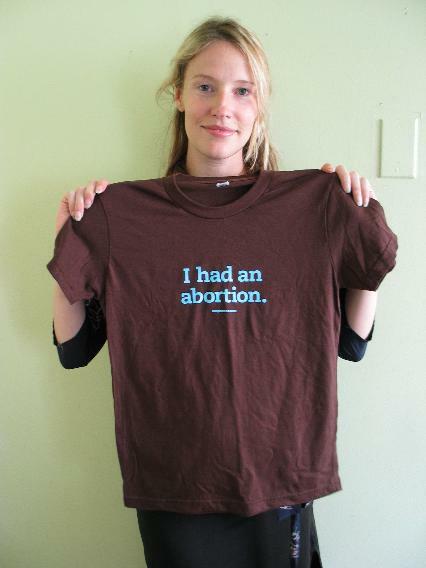 The fact that it causes abortion means nothing, it is just more evidence that it is all a woman’s choice. See what I meant above? When it comes to helping the pro-life cause, one Billy is worth ten Dunkles. Why? Because even though Billy is pro-death, he cannot accept every lie they throw up, and one denial will lead to another until the whole lying edifice comes crashing down. I think David is right. People like John Dunkle know in their hearts that they are not having an impact on reducing or eliminating abortion. It’s just a cause celbre for them, it gives them something to do when they wake up in the morning. Pat, does my wife sometimes ghost write stuff for you? For a lunatic you are pretty funny. Why do you stalk women? I don’t stalk women, Billy! I hold prayer vigils outside the homes of killers and killers’ helpers, and only two of them have been women. You may not be technically “stalking” them, John, but in a sense you are. You’re out there to get attention for yourself, because you know darn well that you will never convince those folks to give up what they do. If anything, to take a page from your playbook, they make SO MUCH MONEY that they could not afford to give up their jobs!!! Well, Pat, that’s true, the abundant money for what’s required to make it is so disproportionate that my job on paper would seem quixotic. But a person’s reputation is also a powerful persuasive. That’s the only reason I can see to explain the fact that I’ve persuaded some to abandon the killing fields. John, I think you have convinced yourself that you’ve “persuaded some to abandon the killing fields.” But, get real here. Do you really think that little ole you, standing outside someone’s house, is going to scare them? Gimme a break. In my experience, the only time I heard of a doctor leaving the field because of anti-abortion activity was right after David Gunn was killed and about 20 of them said that was enough for them. Since then, the only ones leaving the field are just too old. They’re not leaving because of John Dunkle and I really believe you know that. Maybe so, maybe not. I do what I can, and it ain’t much. But I didn’t know that about the execution of David Gunn! To think that Michael Griffin had that kind of impact!